Del Monte was another company that jumped on the spring break bandwagon to promote their fresh fruit products. They had activities over six days in Daytona Beach, FL at the Plaza Resort and Spa. Before the events Del Monte launched a Facebook sweepstake to send a winner and two friends to Spring Break for five nights and six days all expenses paid. This sweepstakes got the brand over 7,000 new Facebook fans. At the beach there was an obstacle course and a DJ. There was also several photo opportunities one being with the giant banana. They also gave out tons of fruit at the events. A final banana dance party ended the week of activities. The week aimed to gain the brand new consumers as well as leave the guests with unforgettable memories. In 2012 Hallmark themed their Gold Crown Retail Summit in Las Vegas, Nevada “Get Connected”. Every attendee received a new Apple iPad with the preloaded app in order for the conference to be paperless. The app allowed attendees to access PDFs as well as maps and surveys. The app was also interactive allowing attendees to message each other and provide instant feedback on sessions they attended. In order to get participants to learn about the functions of the app the developers incorporated a game like tutorial awarding points for completing tasks. If they messaged other attendees, uploaded photos, checked into sessions or downloaded other Hallmark apps they were awarded points. The points could be put towards prizes. Hallmark launched Go Cards, a free iPhone app that allows people to personalize and send paper cards, one month after the conference. The retailers who attended the conference had already mastered the new app so they are able to show customers all its features. All in all the conference was a huge success. I mean who wouldn’t want to save trees and get a free iPad? Verizon’s fleet of vehicles hit the road this March. It all started with one 1965 Volkswagen and has since grown to include a Jeep Wrangler and a Sprinter van. Each vehicle is wrapped with “Iron Man 3” graphics. The vehicles are equipped with FiOS Internet and TVs. Each vehicle will travel to different events such as community events, festivals, business mixers and residential neighborhoods throughout Palm Springs, Riverside and High Desert. This mobile marketing experience is unique because Verizon has integrated three non-profit organizations-The Boys and Girls Club of Victor Valley, Guide Dogs of the Desert, and Habitat for Humanity Inland Valley. Each organization has chosen two projects they would like to accomplish. At the SoCal Experience participants will vote for the project they would like to see Verizon fulfill. Verizon is donating at least $5,000 to each organization. People who attend the events can enter to win tickets the premiere of “Iron Man 3” on April 24th along with other prizes. There is also a contest called Conquer your Creativity Sweepstakes, where people can design graphics for a beach bike, skate or surfboard. Each week a winner is chosen and they will win the item they submitted the design for. Verizon has been doing this program for four years. They are able to show their support of local communities as well as gain new customers. So far it has been very successful for them. 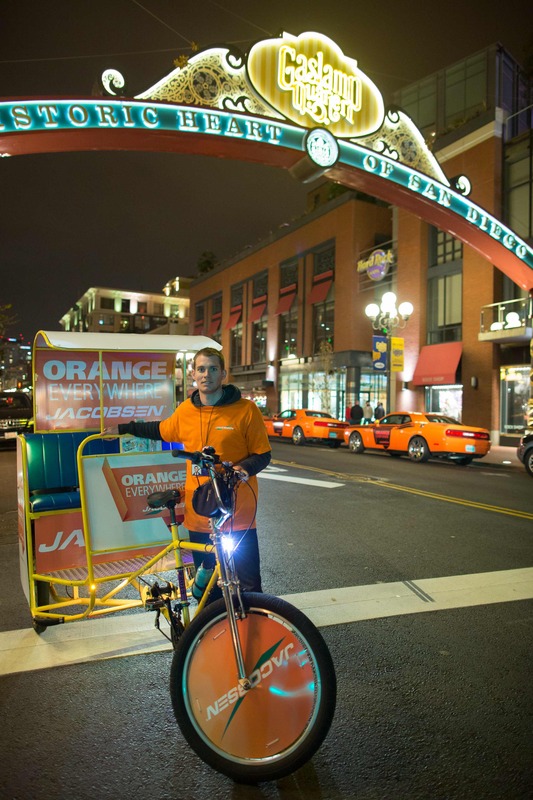 “Orange Everywhere” Taking Marketing from the Show to the Streets of San Diego! Jacobsen, a Textron Inc. Company with over 90 years in the turf maintenance industry, created quite a buzz this February with their guerilla marketing campaign. At the Golf Industry Show in San Diego, CA Jacobsen showcased their six new and enhanced products. Their booth even had a test track to try out the equipment. Jacobsen did not stop at the convention when it came to marketing. Their goal was to blanket the city of San Diego in Jacobsen orange. 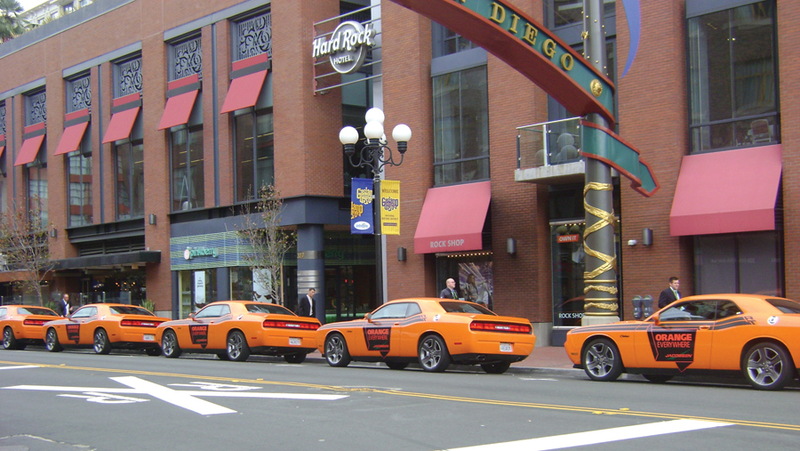 They started at the convention center by parking branded muscle cars in public parking spaces. Everyone who visited the Jacobsen booth inside was given orange wristbands to wear. Once the participants left the convention brand ambassadors gave out prizes to people who were wearing the wristbands. The prizes ranged from t-shirts during the day and Visa gift cards at night. Participants wearing the wristbands around the city also got free rides in the city in branded pedicabs and concierge services. This campaign definitely grew the presence of the Jacobsen brand not only at the Golf Industry Show but all around the city of San Diego. Every second something newsworthy is happening in the world. The best you can do is to stay informed. Mashable compiled a list of the 10 must follow breaking news Twitter accounts. When planning an event it is important to be aware of what is happening in the world because you never know what will effect your event. Take the recent water main break in Hoboken, NJ. If I was having an event in Hoboken I would want to be informed of this issue as soon as possible. With Twitter I could find out information instantaneously as well as stay informed throughout the clean up process. Start following the Twitter accounts below to stay informed! I was reading an article on the Huffington Post website about social media statistics and decided I would share the 10 I found interesting. A new trend on Twitter is fake accounts for famous people. Many times these fake accounts have more followers than the famous people’s official accounts. The fake Queen Elizabeth on Twitter has more followers than the official British Monarchy account. The Shorty Awards’ made an infographic comparing fake Twitter accounts of famous people and brands to the official Twitter accounts. When they were analyzing the fake and official accounts the Short Awards’ found that the parody accounts for certain companies such as ESPN and CNN tweeted more than the actual companies did. Most people follow the parody accounts as a source of entertainment and laughs. If you are confused if an account is real of not you can check for the official verified check mark on the account’s Twitter header. You may be fooled by a quick look at an account with a photo-shopped check mark. Most recently, the Pope’s fake Twitter account tricked a lot of people into thinking the new pope was tweeting. Don’t be fooled by these fake accounts unless all you are looking for just laughs. After reading The New York Times Blog In Transit I became aware of events around the world that I have never heard of. For the month of April all over North Carolina it is Beer Month. Brewery tours, Beer festivals, and races such as the Tap “N” Run Beer Run are going on all month long. Numerous craft beer lovers flock to NC during this month to participate in the many events. London will be hosting the third annual Grands Chefs Dinner on April 22 at Old Billingsgate in London. Relais & Châteaux, a network of more than 500 luxury hotels and restaurants around the world, puts on this extravagant dinner. The theme this year is “All the World’s a Kitchen by the Thames.” The cost of the five-course dinner is about $1,000. I hope the food is amazing for that price. If London is too far for you to travel you can go to Fiesta in San Antonio Texas. This is an annual weeklong celebration marking Texas’ independence from Mexico. The Fiesta includes parades with lots of floats, parties galore and events with debutantes in beautiful gowns. The festivities start on April 18 so you still have time to plan your trip! Berlin takes a different approach to anniversaries by celebrating somber events: the 80th anniversary of Hitler’s chancellorship in 1933 and the 75th anniversary since the beginning of the attacks on Jews known as Kristallnacht. They remember these events through “Diversity Destroyed,” a program with over 100 events that lasts until November 9th. One event is going on in the city streets right now. Kiosks are set up to display history from 1933 to 1945 and 40 pillars show the lives of 200 Berlin citizens affected by the war. It seems wherever you want to go you can find a uniquely different event for the month of April. I wish I could go to each one. This spring break students in Panama City Beach, Florida and South Padre Island, Texas experienced BIC razors through “The BIC Shave Experience”. This campaign was created with the hope that these college students will turn into loyal customers down the line. At these spring break destinations the BIC brand was all over. There were brand-relevant games and shaving events on the beach. Select hotels even distributed sampling kits. The “BIC Shave Experience” was a place where men and women could get shaved by licensed barbers and cosmetologists. The females got a smooth shave with the BIC® Soleil Bella® razor. Men could have their chests or heads shaved into BIC logos or shapes. In addition to the events BIC placed its messages in the surrounding hotels. They used elevator wraps, posters in the hotel lobbies and branded keycards. When the spring breakers checked in they were given samples of the razors. This consumer experience was produced by Brand Connections, a NYC marketing and media company. The company chose to put this event on during spring break because it allows for a high concentration of 18-25 year olds. The experience took place from 3/3-3/7 and 3/19-3/23 in FL and 3/11-3/15 in TX. ABOUT BRAND CONNECTIONS Brand Connections (http://www.brandconnections.com) is an independent global marketing and media company that creates Branded Consumer Experiences™ by integrating digital and venue-based product experience networks for national and global brands. Founded in 2001, Brand Connections has connected hundreds of Fortune 500 brands with more than 2 billion customers by reaching them when they are in the right frame of mind to engage with brands. Brand Connections is expert in trial-generation; tactics include product sampling and experiences, targeted out-of-home media, experiential marketing, retail activation and digital and social media integration. Brand Connections is majority owned by Veronis Suhler Stevenson (VSS), a leading media and communications private equity firm. 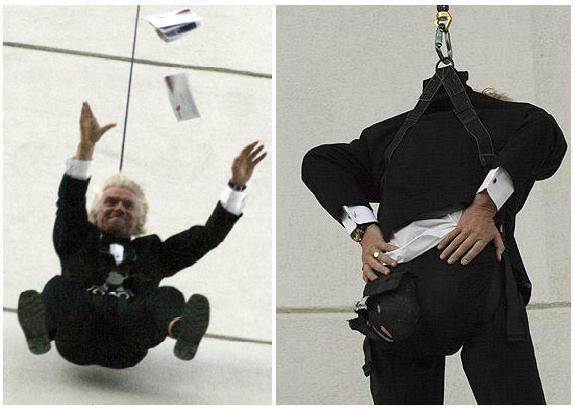 Virgin group founder, Richard Branson, is known as the king of publicity stunts. Each stunt is bigger and better than the previous one. 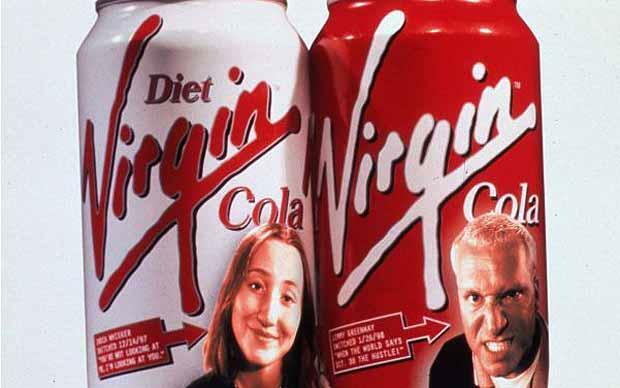 For throw back Thursday I am going to talk about a stunt Virgin group did for Virgin Cola back in 1998. To kick off the launch of Virgin Cola in the US, Richard Branson drove a tank down Fifth Avenue and then “blew up” the Coca-Cola sign in Times Square. Branson expected many years worth of feuds with Pepsi and Coke for the best soda drink. Unfortunately sales of Virgin Cola fizzled out. Now the drink can mainly be found on Virgin Atlantic flights. Today Richard Branson and Virgin Group are still one of the leaders in publicity stunts doing everything from jumping off casinos to being the fasted to cross the English Channel. Now many other companies are trying to keep up with them.